Prevent is about safeguarding people and communities from the threat of terrorism. It aims to stop people becoming terrorists or supporting terrorism. The Prevent strategy aims to provide early intervention to individuals at risk of radicalisation. It focuses on support and guidance, and not on criminalisation. Ideology: challenge the ideology of terrorism and disrupt the ability of those who promote it. Individuals: prevent people from being drawn into terrorism and ensure that they are given appropriate advice and support. Institutions: work with sectors (including education, faith, health, criminal justice, charities and the internet) where there are risks of radicalisation that we need to address. What are terrorism, extremism and radicalisation? The current UK definition of terrorism is given in the Terrorism Act 2000. This defines terrorism as an action that endangers or causes serious violence to a person/people; causes serious damage to property; or seriously interferes or disrupts an electronic system. Terrorist groups seek to cause widespread disruption, fear and intimidation. They use violence or the threat of violence as a means of publicising their causes, motivating those who might be sympathetic to them and intimidating those who do not sympathise. Extremism is the vocal or active opposition to fundamental British values,including democracy, the rule of law, individual liberty and mutual respect and tolerance of different faiths and beliefs. This also includes calls for the death of members of our armed forces, whether in this country or overseas. What makes a person vulnerable to radicalisation? There is no single profile of a person likely to become involved in extremism, and the process of radicalisation is different for every individual. Radicalisers use normal social processes such as loyalty, self-perception, and fear of exclusion to influence their targets; it is not simply people with low intelligence or from deprived backgrounds who are susceptible as it is often tempting to assume. What are the indicators of vulnerability to radicalisation? Safeguarding children, young people and adults from radicalisation is no different from safeguarding them from other forms of harm and is something you can do with no additional training, simply trusting your judgement and using your existing professional knowledge. Indicators for vulnerability to radicalisation are the same as those you are already familiar with: family tensions, sense of isolation, migration and distance from cultural heritage, experience of racism or discrimination, feeling of failure etc. Those in the process of being radicalised may become involved with a new group of friends, search for answers to questions about identity, faith and belonging, possess violent extremist literature or advocate violence actions, change their behaviour and language, seek to recruit others to an extremist ideology. It is vital to note that children and young people experiencing these situations or displaying these behaviours are not necessarily showing signs of being radicalised. There could be many other reasons for the behaviour including those you are already familiar with – alcohol or drug abuse, family break down, domestic abuse, bullying, or something more minor. Why is it important to act early? When we think of terrorism we tend to think of 9/11, 7/7 and bombs going off. However this is only the result of terrorism, resulting from months or years of recruitment, radicalisation and advance planning. These hidden early aspects of terrorism can and do happen anywhere. What do I do if I suspect a child or young person is becoming radicalised or involved in extremism? You should refer your concerns using the Channel referral form, remembering to follow your standard organisational safeguarding policy (such as informing your manager). 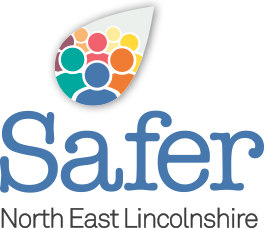 Humberside Police will carry out an initial assessment and, if appropriate, set up a multi-agency meeting to agree actions for supporting the individual. If it is deemed that no there are no concerns about radicalisation, support will be arranged for the individual through other means such as a through social care or another organisation. Remember that any information you give to the Police at this stage will be investigated in the pre-criminal arena; it does not assume that any criminal activity has taken place and the professionals will be looking to support and guide rather than to criminalise and arrest. Channel is a multi-agency approach to identifying and safeguarding individuals who are at risk of being drawn into terrorism. It is about early intervention to protect and divert people away from the risk they face before illegality occurs. C. developing the most appropriate support plan for the individuals concerned. Channel is for any adult or child, regardless of faith, ethnicity or background, who is vulnerable to being drawn into any form of terrorism, radicalisation or extremism; to provide support before they are exploited and/or led into embracing terrorism or becoming involved in criminal terrorist related activity. What Is The Local Authority Duty Regarding Channel Panel? • All partners of a panel (as specified in Schedule 7), so far as appropriate and reasonably practicable, to cooperate with the police and the panel in the carrying out of their functions. If you have a concern and would like some advice please contact the Humberside Police Prevent Team on 101.